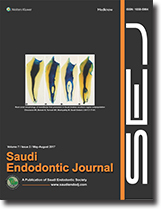 Introduction: The aim of this study was to investigate the root and root canal morphology of permanent maxillary first molars in a Saudi subpopulation and the effect of age and gender on the morphology of these teeth using cone-beam computed tomography (CBCT). Materials and Methods: A total of 351 CBCT images of the maxillary first molars of 207 Saudi patients were examined. The number of root canals, root canal configuration (Vertucci's classification), and prevalence of fusion were investigated. Chi-square was used to analyze the data, and Kappa test was used to examine inter- and intra-examiner reliability. Results: A high prevalence of three separated roots was observed in 94% of the teeth. A 55.6% of mesiobuccal roots (MBRs) had two canals of Vertucci's Type IV. The proportion was higher in males than females of a young age. Two-fused roots in three-rooted teeth were present in 5.98%. There was a statistically significant correlation between the number of canals and gender (P = 0.010). Conclusion: The morphological configurations of the root canal of maxillary first molars in Saudi subpopulation were consistent with previously reported data. The majority had three roots and four canals. The additional fourth canal was located in the MBR, and Type IV was the most prevalent. CBCT is an appropriate imaging modality that helps assess complex root canal morphology of human teeth. 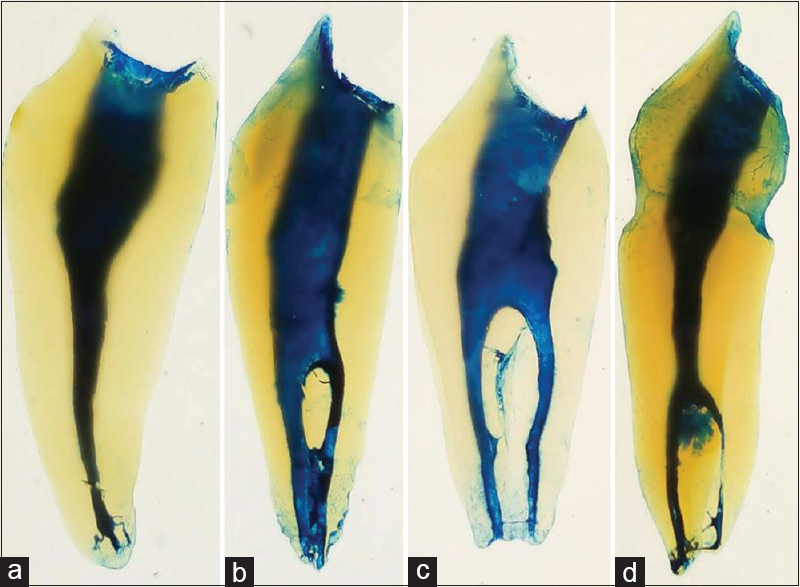 Introduction: The aim of this study was to investigate the root canal morphology of Saudi Arabian mandibular first premolars by tooth clearing technique. Materials and Methods: One-hundred mandibular first premolars were collected from different dental schools and primary health care centers of the southern region of Saudi Arabia. Access cavities were prepared, the pulp tissue was dissolved, and teeth were subjected to clearing technique protocol. The transparent teeth were examined under dental microscope and following features were analyzed: number of roots, number of root canals, number of apical foramina, root canal configuration (Vertucci's classification), number of lateral canals, and intercanal communications. Results: Of the 100 mandibular first premolars, 80% had a single root, 18% had two roots, whereas 2% were three rooted. Seventy-two percent had a single canal, 26% had two canals, and 2% teeth had three canals. Seventy-three percent had a single apical foramen, 19% had two foramens, 2% had three apical foramens, and 6% had multiple apical foramina (apical delta). Sixty-nine percent had Type I, 8% had Type III, 4% had Type IV, 16% had Type V, 2% had Type IX, and 1% had an additional root canal configuration. Lateral canals were found in 38% and intercanal communications in 16% teeth. Conclusions: Although the majority of the study samples had a single root and one root canal, two roots were found in 18% and two canals in 26%. Such morphological variations should be taken into consideration to ensure successful root canal treatment of these teeth. Aim: The aim of this study is to evaluate R-Endo R3 file's resistance to cyclic fatigue in comparison with continuous rotation movement and "Adaptive Motion" (AM) movement under dynamic model. Materials and Methods: Forty pieces of R-Endo R3 (25.04) files (lot no: 062011) were included in the study. Cyclic fatigue tests were performed with specifically manufactured dynamic cyclic testing device. The device has an artificially prepared canal with 60° curvature angle and 5 mm curvature radius. The canal inner diameter is 1.5 mm and the center of curvature is located 5 mm coronally from the apex. The files were randomly divided into two groups (n = 20) and the following procedures were performed – Group 1: Rotary motion (RM), Group 2: AM. Time to fracture was recorded and the number of cycles to failure for each instrument was obtained. Statistical analyses were performed using Student's t-test. The statistical significant level was set at P < 0.05. Results: AM group had a significantly higher cyclic fatigue resistance compared with RM group (P < 0.001). Conclusion: Within the limitation of the present study, it was found that "Adaptive Motion" statistically increases the resistance to cyclic fatigue of R-Endo R3 files, manufactured for retreatment. Aims: This study aims to evaluate the efficacy of chitosan-silver nanocomposite on Candida albicans when compared to three different antifungal agents in combination with standard irrigation protocol. Materials and Methods: Fifty experimental teeth were biomechanically prepared and inoculated with suspension of C. albicans. At the end of 96 h, teeth were divided into five experimental groups. The groups were treated with respective irrigating solutions for 1 min and compared to the antifungal. An inoculation loop was used to remove aliquots from the fluid and was plated on 4% Sabouraud Dextrose Agar and incubated for 48 h. After incubation, the growth of C. albicans was assessed with light microscopy at ×400. Statistical Analysis Used: The data were statistically analyzed using one-way ANOVA. Post hoc followed by Dunnet t-test. Results: Colony forming unit (CFU) was determined for all five groups. One percent clotrimazole and chitosan-silver nanocomposite showed complete inhibition in all the samples. Control group (5.25% sodium hypochlorite, 17% ethylenediaminetetraacetic acid, and 0.9% saline), 0.2% fluconazole and 0.2% amphotericin B showed complete inhibition in 8 samples and reduced CFU in two samples. 0.2% fluconazole showed better inhibition of C. albicans compared to control group and 0.2% amphotericin B. Conclusions: Chitosan-silver nanocomposite as an endodontic irrigant can inhibit the growth of C. albicans in combination with standard irrigation protocol. Aim: To examine and measure a possible skew in the longitudinal position of the apical constriction in human maxillary central incisors, lateral incisors, and canines around the circumference of the canal. Materials and Methods: Twenty-five human maxillary central incisors, lateral incisors, and canines were split and imaged with ×25 magnification. The most apical and coronal limits of the apical constriction were identified and measured. Results: Analysis of the data indicates that a majority (>64%) of maxillary central incisors, (>69.6%) lateral incisors, and (>70%) of canines exhibit an unevenness or “skew” of the apical constriction of >100 μ m in the incisoapical dimension. A statistically significant (P < 0.05) variation in the longitudinal position of the apical constriction around its circumference was confirmed in maxillary central incisors. Conclusion: The termination of working length is more likely to end in an apical constriction zone rather than at an apical constriction point or plane. Aim: The aim of this study was to compare the shaping time and shaping ability of the ProTaper Universal, ProTaper Next, WaveOne, and Twisted Files (TF) nickel–titanium (NiTi) systems. 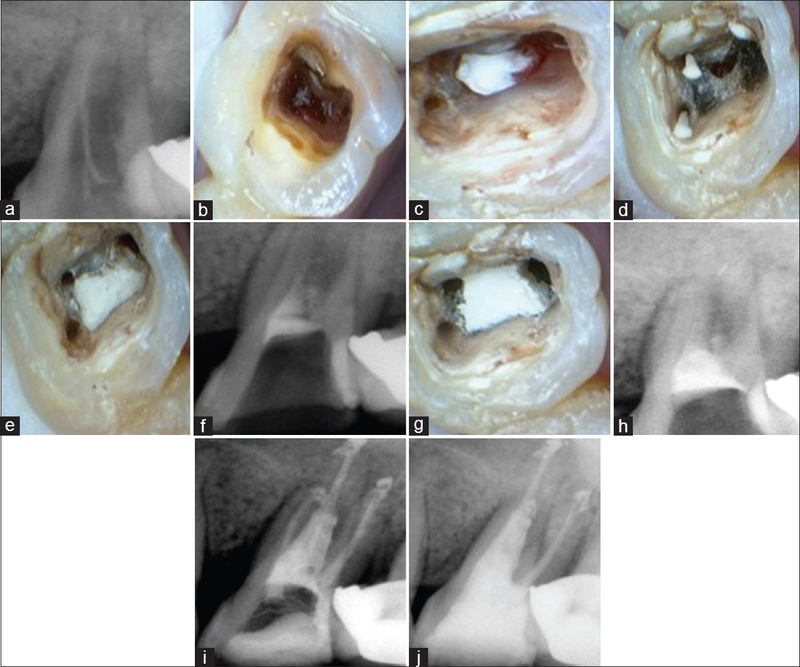 Materials and Methods: This study was conducted using simulated root canals (n = 40). The specimens were divided into four experimental groups (n = 10 each). Each group prepared by NiTi system as following: ProTaper Universal, ProTaper Next, and WaveOne, the canals were injected with black ink before instrumentation, a series of photographs of each canal was saved to a computer using a set protocol. The canals were reinjected using red ink postoperatively to define their outlines, and images were taken in the same standardized manner. Photoshop software was used to superimpose pre- and post-instrumentation images in two different layers. 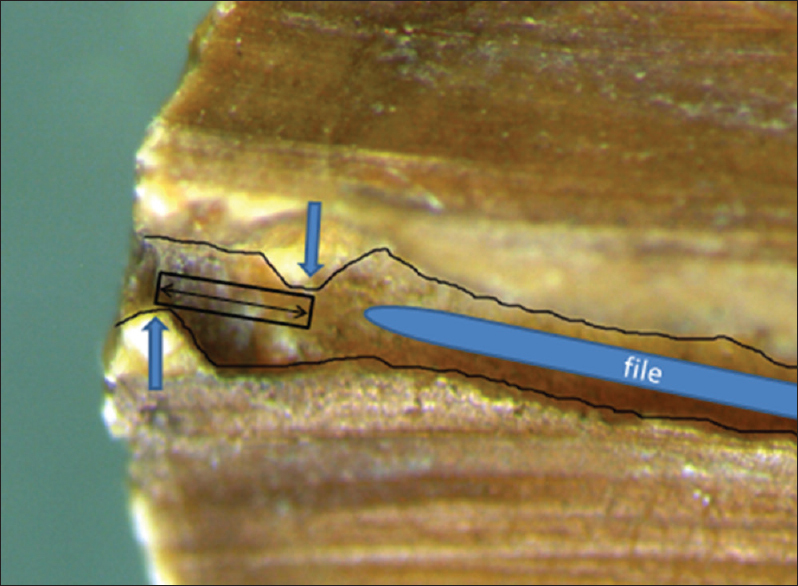 Each 1 mm step from the apical end was measured using ImageJ Software and evaluated by measuring the amount of removed resin. 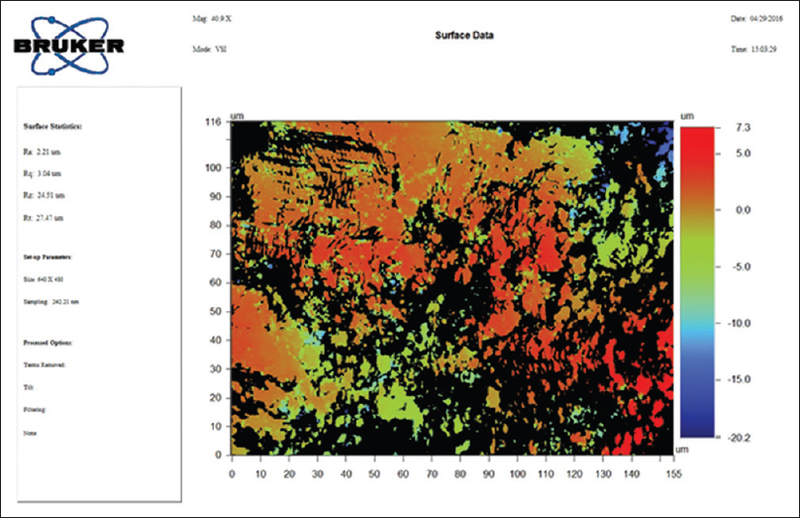 The data were analyzed using SPSS version 20.0. Significance was set at P< 0.05. 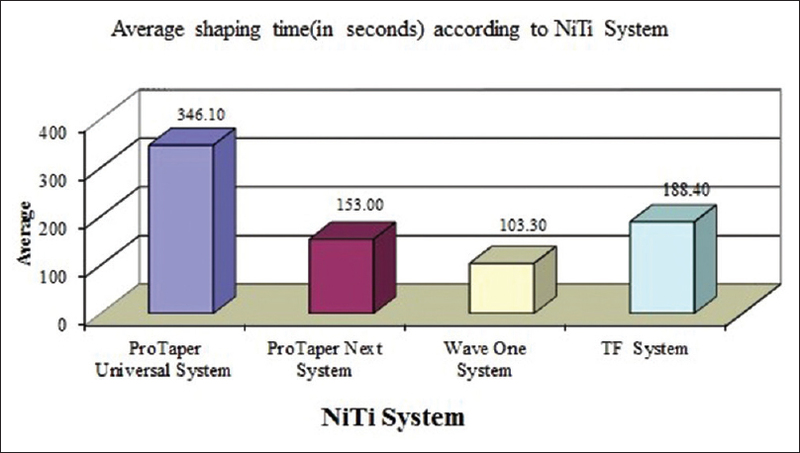 Results: There were significant differences (P < 0.05) in shaping time (in seconds) among the NiTi systems where the shortest preparation time was with TF system. There were significant differences (P < 0.05) in canal transportation values among NiTi systems. Canal transportation at D1, D2, D3, D5, and D7 was greater for the TF system than for the other systems (ProTaper Universal, ProTaper Next, and WaveOne). The transportation with the TF System was toward the outside of the curvature, and it was greater than that with other systems at D1, D2, D5, and D7. Conclusions: ProTaper Universal, ProTaper Next, and WaveOne preserved the original curvature of the canal better than the TF system. Aims: The aim of this study is to compare the effectiveness smear layer removal in root canals between the conventional method and with a new mechanical device. Materials and Methods: Thirty extracted noncarious central incisors were used and divided equally into three groups. Group A (n = 10) was used the control group and was not biomechanically prepared or irrigated. Group B (n = 10) was cleaned and shaped using the conventional method with rotary instruments and by irrigation with 5.25% sodium hypochlorite (NaOCl) and saline. Group C (n = 10) was cleaned and shaped using a new mechanical device, a microendobrush along with the conventional method of irrigation with 5% NaOCl and saline. The teeth were split longitudinally into two halves and each half was divided into three equal parts to obtain a pair of coronal, middle and apical third segment. The specimens were mounted on clear acrylic and were evaluated under a profilometer microscope and scanning electron microscope to view the surface roughness. Statistical Analysis Used: Statistical analysis was done using One-way ANOVA post hoc Tukey test. Data were analyzed using Statistical Package for Social Sciences (SPSS), version 15.0 (SPSS Inc., Chicago, IL, USA) at significance level of P ≤ 0.05. Results: The results reveal that the newer method of irrigation with the microendobrush had better removal of the smear layer and other debris. The conventional method of irrigation shows better results than the control teeth but is not as efficient in removing smear layer compared to the newer method of irrigation. Conclusions: Based on the limitation of the study, the results reveal that the newer method of chemomechanical preparation is more effective at smear layer removal compared to the conventional method of chemomechanical preparation. Introduction: To investigate the forces induced by successive spreader insertions by undergraduate dental students. Materials and Methods: Thirty-eight artificial resin teeth (Real-T Endo, Acadental, Lenexa, KS, USA) were used. After canal preparation, the teeth were distributed equally into male and female students to perform canal obturation with the lateral compaction technique. A force gauge (M5-20 Advanced Digital Force Gauge; Mark-10 Corporation, NY, USA) was used for recording the spreader insertion force. Linear mixed model was used to assess the effects of both gender and repeated measures of spreader insertion on spreader penetration forces during canal obturation at a significance level of 5%. Results: The mean maximum forces measured were in the range of 1.13 ± 0.44–1.67 ± 0.64 kg. 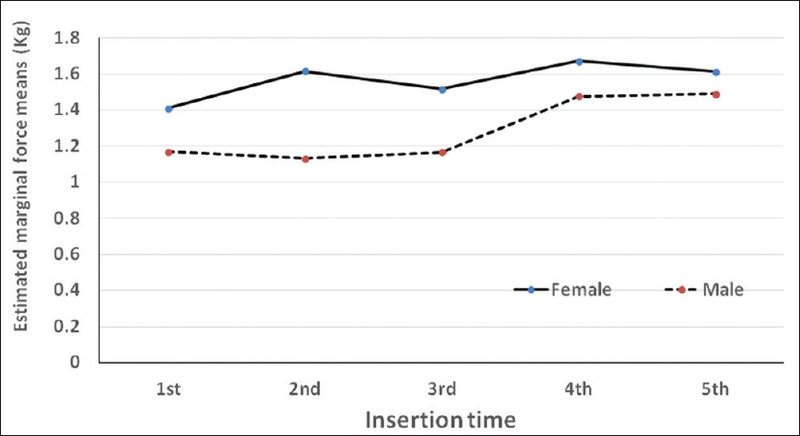 There was a significant difference between the five insertion times (P = 0.003), and the initial three insertion times were lower than the fourth and fifth times. Although female students apply more force, there was no significant difference when compared to that of male students (P = 0.136). 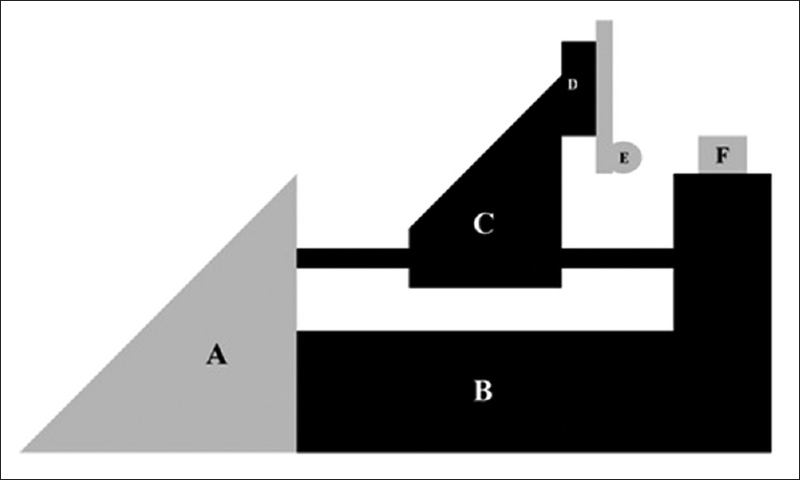 Conclusion: The force gauge device can be used as educational tool to measure the force applied during canal obturation. Although the forces applied by female students were higher than the male students, they were all considered safe. Radicular cysts are common cystic lesions that affect the jaws. They are most commonly found at the apices of teeth with necrotic pulp, usually asymptomatic but can result in swelling in the affected area. A 52-year-old female patient presented with persistent labial swelling for 2 years after endodontic retreatment of maxillary right central incisor. Surgical enucleation of the cystic lesion together with regenerative technique using bone graft to manage the through and through (tunnel) bony defect was done. Both clinical and radiographic examination revealed a good healing at the 6-month follow-up. 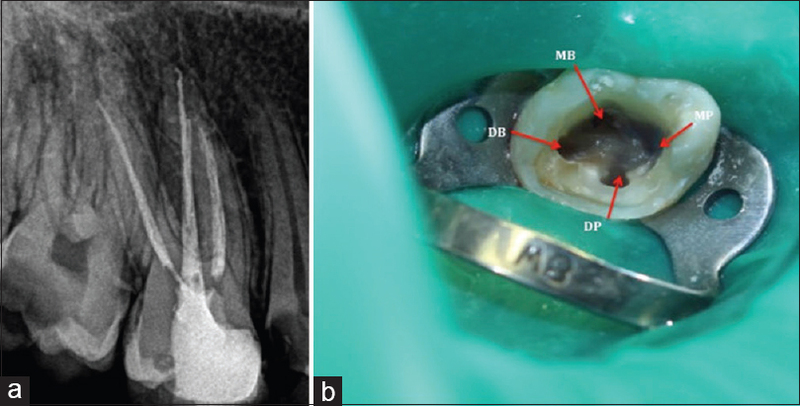 In conclusion, the use of bone graft during endodontic surgery to manage large periapical lesions with tunnel bony defect is an effective treatment strategy to accelerate bone healing. A human dental trauma usually occurs in young patients involving an anterior dentition. A horizontal root fracture (HRF) is uncommon, being only 0.5–7.0% of all traumatic dental injuries. A 9-year-old Saudi boy was received trauma on his face causing HRF at both right (#11) and left (#21) maxillary central incisors. The apical third of tooth #11 was fractured, and #21 was lost. Clinical and radiographic examinations investigation were done, and proper management was carried out. The patient was asymptomatic at 2 years follow-up, and the cone beam computed tomography shows good healing of the two fragments that could be done with fibrous tissue. The time elapsed from the development of the perforation is a critical factor influencing the posttreatment prognosis. Long-standing perforations usually show a worse prognosis than fresh perforations. Mineral trioxide aggregate (MTA) is widely used to seal perforations because of its biocompatibility and sealing ability in the presence of blood and moisture. Metrogene sponge is a metronidazole-containing absorbable collagen having significant antibacterial activities. It can be an added advantage when used as an internal matrix for long-standing perforation repair. Three cases of long-standing perforation were selected and were sealed with MTA using metrogene sponges as an internal matrix. Finally, the teeth were endodontically treated and coronally restored. 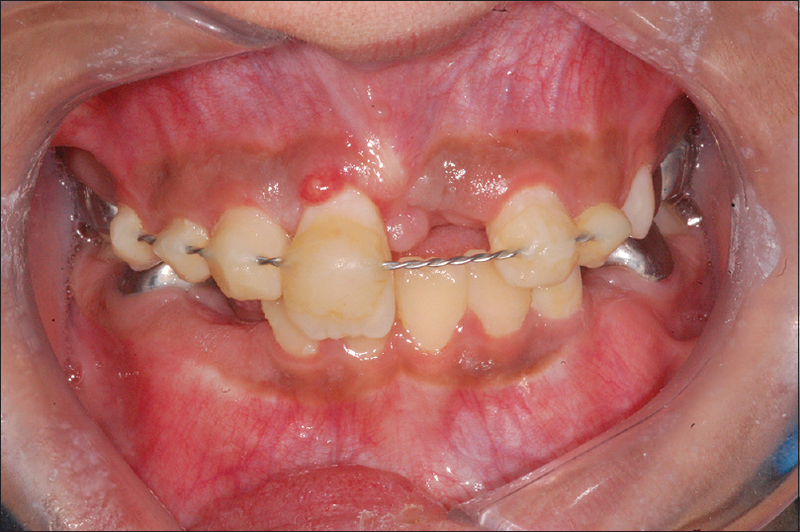 The absence of periradicular radiolucent lesions, pain, and swelling along with functional tooth stability at follow-up indicated a successful outcome of sealed perforations. To conclude, MTA with metrogene sponges as a matrix provides an effective seal of root perforations and clinical healing of the surrounding periodontal tissue. Variation in the number or morphology of roots is challenging and may lead to failure of the root canal treatment if not recognized. It is common for the maxillary second molar to have three roots with three or four canals, but it is rare to have four separated roots. The present paper reported three cases of the maxillary second molar with two distinct palatal roots. The patients were Saudi citizen, and the cases were diagnosed after clinical and radiographic examination. Nonsurgical root canal treatments were performed successfully using warm gutta-percha and Adseal sealer. Cone-beam computed radiograph was taken to confirm the root morphology. Dentists should be aware of any deviation in the internal anatomy and morphology of the treated tooth. Different angled periradicular radiographs should be done and analyzed well besides following the principles of access cavity preparation.